Cold storage facilities that house food must be under strict conditions with environmental control systems, however, there may be unforeseen issues that occur. The Nebraska Cold Storage facility received heavy fines after several violations, including ammonia exposure, were discovered. This has significantly affected the reliability of the organization and the food kept there for consumer use. Many cold storage centers are under firm regulations to keep each product viable for distribution and are constantly reviewed by health officials. The Nebraska facility received fines of over $130,000 from 14 safety warnings following a recent inspection from the U.S. Department of Labor's Occupational Safety and Health Administration, according to Food? Quality News. 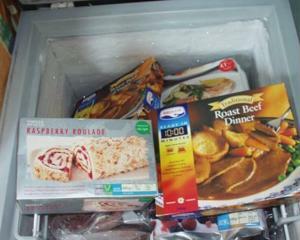 The inspection found that frozen, refrigerated and perishable foods were exposed to danger because the company failed to analyze the risks of its ammonia refrigeration systems. The cold storage organization was also cited for potential crushing hazards and a lack of truck operator evaluations. The facility must address all the breaches in order to comply with OSHA standards and prevent further penalties. "Four willful violations were cited," according to the OSHA report. "Some involve [process safety management] violations, including the failure to develop and implement written, safe operating and mechanical integrity procedures and measures to take for physical contact or airborne exposure to anhydrous ammonia. The remaining violations involve failing to correct deficiencies in equipment and to document responses to 2010 compliance audit findings, including 12 of 22 deficient audit items that remained uncorrected." The ammonia danger was caught fairly quickly, ensuring the the consumers do not get sick from the chemical. Ammonia is highly dangerous, however, this isn't the first time that people have come into contact with it. Ammonia was rationed during beef processing in order to kill bacteria, although there is not evidence that pathogens are affected by the chemical, according to Food Safety News. Although it may be a low amount that doesn't need public warning, it considerably affects the quality of the meat and can cause severe irritation to areas exposed to ammonia. The amount of chemical exposure could potentially be fatal and cause cancer. "Ammonia is considered a high health hazard because it can be corrosive to the skin, eyes and lungs," said Bonita Winingham, OSHA's area director in Omaha. "It is flammable at varying concentrations. Businesses that handle hazardous materials must take precautions to protect workers from exposure to chemicals, explosions and fire hazards." Rather than using ammonia, proper refrigeration and storage techniques will help effectively kill off bacteria. By using temperature monitoring, organizations will ensure that their products are in the appropriate conditions to prevent foodborne illnesses without using additional chemicals that could cause more problems. Cooking thoroughly will also allow consumers to enjoy their products without needing to worry about getting sick. The OSHA review and fines for the Nebraska Cold Storage facility highlight a significant danger that must be addressed through proper storage techniques. With appropriate equipment and a temperature sensor, organizations can be assured that they are providing the right environment for their products and are complying with national standards.